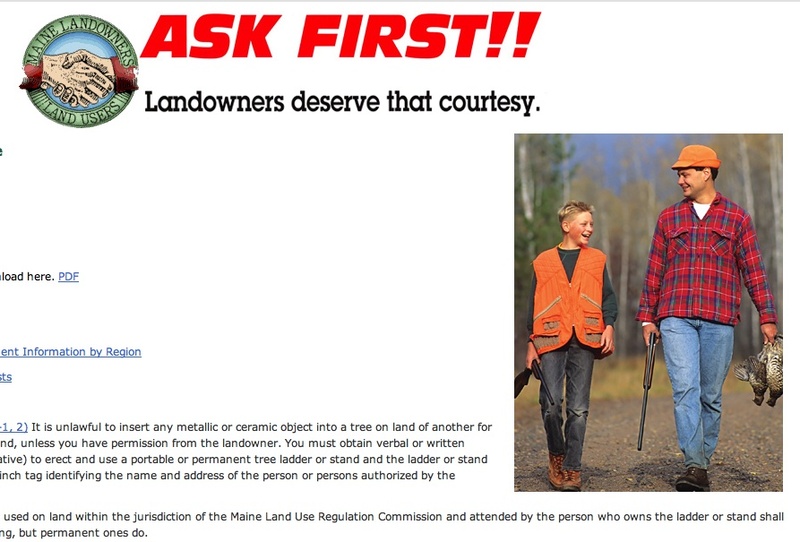 Tories source heart-warming hunting photo from… Minnesota?! Looks like Conservative Party web designers are taking President Obama’s Buy American plan to heart. Readers will be familiar with my ongoing and sometimes pedantic campaign against the use of stock photography in political communications, particularly when it’s bought from outside the country. I’ve recounted a few examples, here, here, and here. Is it really too much to expect our political leaders to commission, or at least buy, pictures from Canadian photographers? 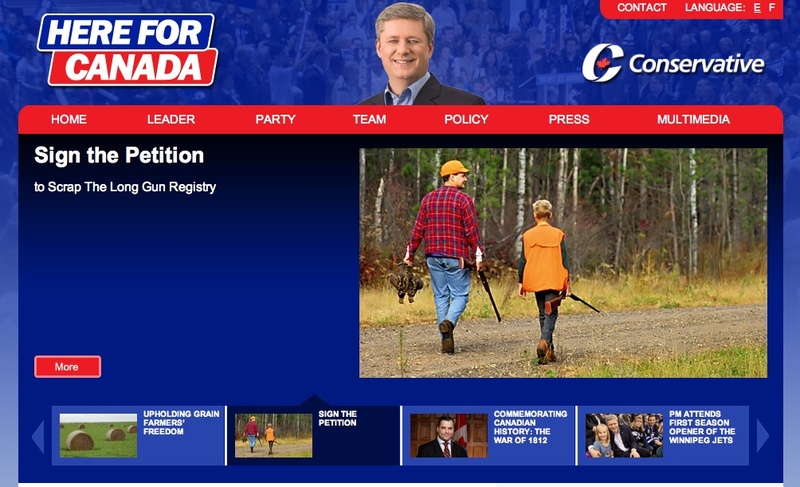 Today, a new example appearing in a prominent position on the Conservative Party of Canada’s website. 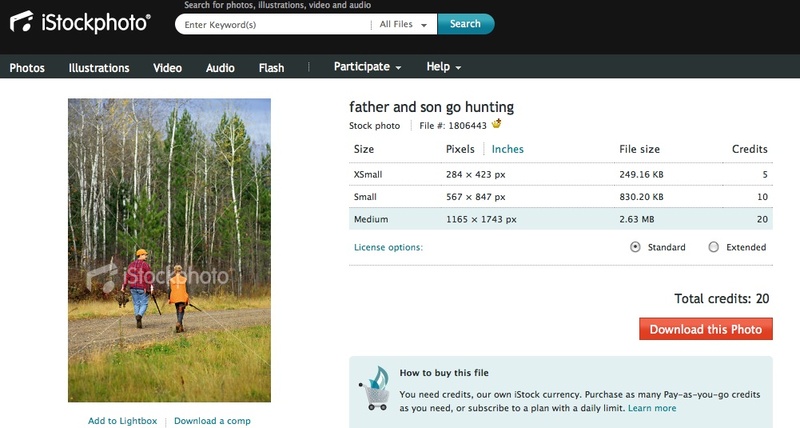 The picture of a father and son hunting some kind of fowl appears next to a come-on for a petition to scrap the federal long-gun registry. The PM and whoever’s next to him look like they were glued down over a previously existing photo. Check out Harper’s hair halo. Only the guy in the background ogling our cow-girl looks real. OTTAWA — At first glance, the photograph on Conservative MP Pierre Poilievre’s website appears to show him surrounded by a happy and diverse group of constituents. But none of these people pictured on Poilievre’s website is actually a constituent of his Nepean-Carleton riding or, for that matter, a Canadian citizen. The images of this multi-ethnic group were purchased from online stock photo agencies and inserted into the website graphic with photo editing software. So what (if the photos came from someone other than Canadian)? Talk about picking nits!